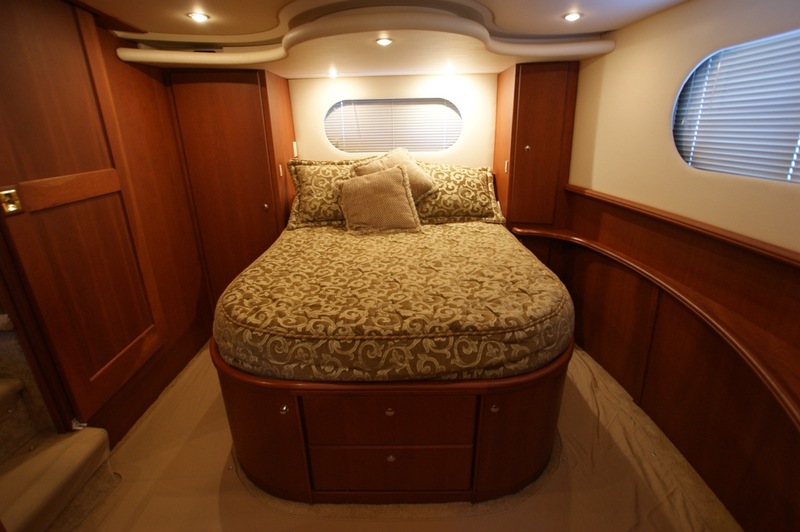 The Silverton 43MY is a two owner vessel with very good service records. 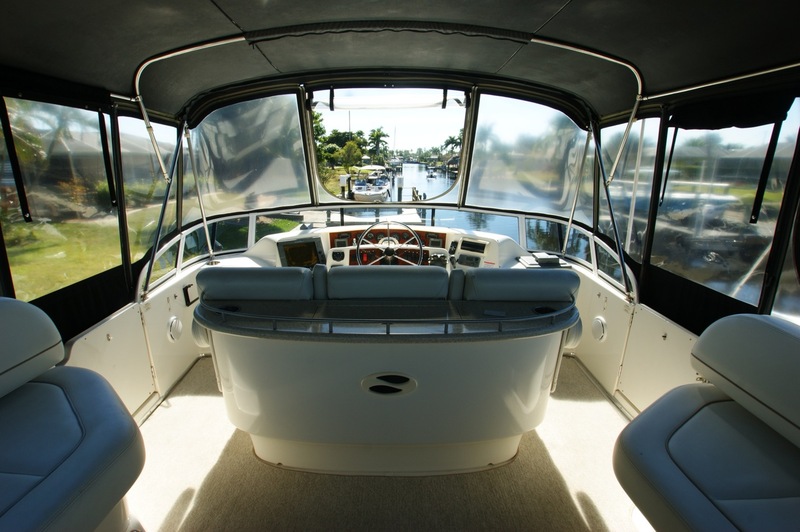 She has always been very well maintained, inside and out. This Yacht has had consistent washing and waxing. The Mechanical Service has been done by the book at regular service intervals. 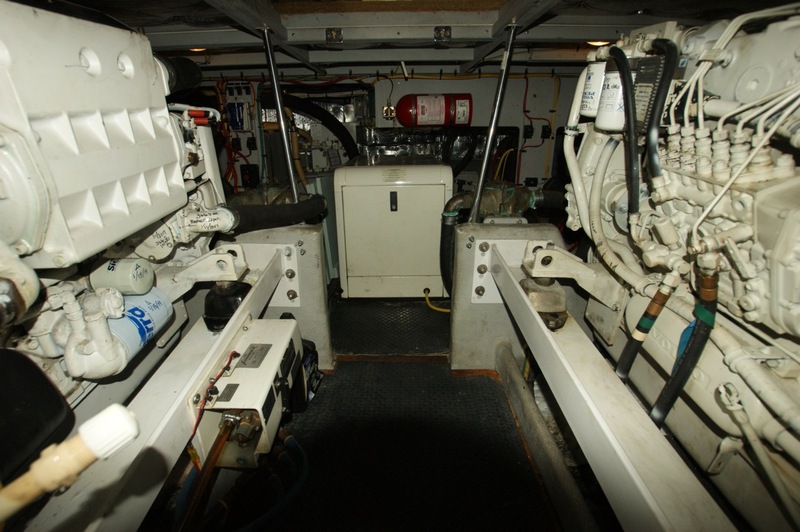 The optional Oil X-Change-R System makes oil changes on the twin Volvo Penta TAMD75P-A's and the Low Hour 10KW Kohler Generator a breeze.. 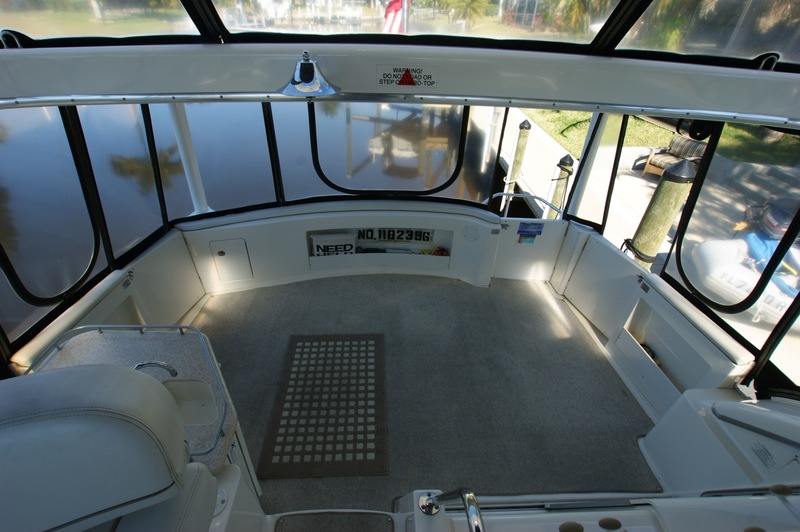 The 43 has LOW HOURS but has had very consistent use in the local waters mixed with several trips to the Florida Keys. This very ROOMY Yacht comes with a nice 10ft Achilles Dinghy, which has a Bimini Top to keep the sun off, a Easy Start Yamaha 5HP Outboard Motor, full Dinghy cover and a Easy Transport Cart. There is also a Brand New "Dinghy Sling". The factory optional Bow Thruster with the new Joy Stick control make it easier for even the least experienced Captain to slip into tight Dockings. All NEW Batteries in 2018 along with a new Pro Nautic 2430 Marine Charger. 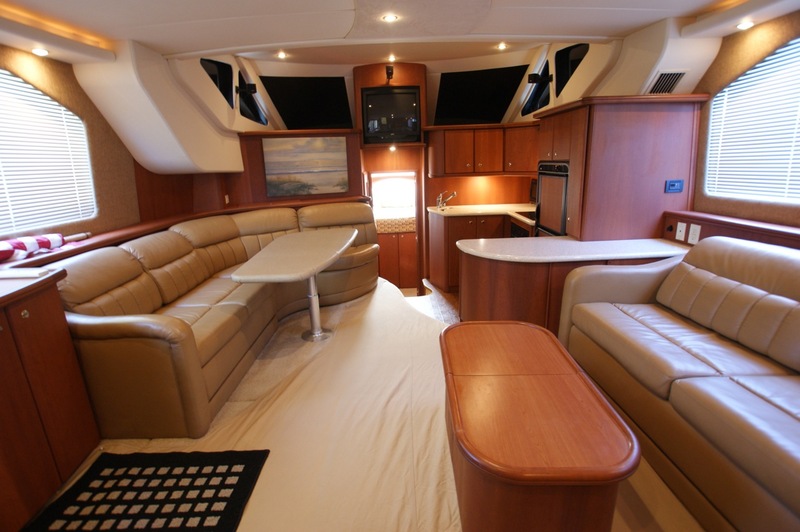 There is a 10.5 gallon Hot Water Heater , Electric Range, Microwave and Refrigerator/Freezer in the immaculate galley and a like new Washer/Dryer Combo in the forward state room make staying on the 43 Motor Yacht very comfortable. New “Shark Savers” propeller protectors were added in 2018.